Traumatic Brain Injury is caused by a violent blow or jolt to the head or body, from a car accident, bullet, severe sports injury, falls, etc. Open Head Injury, Closed Head Injury, Deceleration Injuries, Chemical/Toxic, Hypoxia, Tumors, Infections and Stroke are the top 8 mechanisms for TBI. There are two categories of TBI—mild and severe. A brain injury can be classified as mild if loss of consciousness and/or confusion and disorientation is shorter than 30 minutes. While MRI and CAT scans are often normal, the individual has cognitive problems such as headache, difficulty thinking, memory problems, attention deficits, mood swings and frustration. These injuries are commonly overlooked. Even though this type of TBI is called “mild”, the effect on the family and the injured person can be devastating. Severe brain injury is associated with loss of consciousness for more than 30 minutes and memory loss after the injury or penetrating skull injury longer than 24 hours. The deficits range from impairment of higher level cognitive functions to comatose states. Survivors may have limited function of arms or legs, abnormal speech or language, loss of thinking ability or emotional problems. The range of injuries and degree of recovery is very variable and varies on an individual basis. Primary concerns include insuring proper oxygen supply to the brain and the rest of the body, maintaining adequate blood flow, and controlling blood pressure. Imaging tests help in determining the diagnosis and prognosis of a TBI patient. Patients with mild to moderate injuries may receive skull and neck X-rays to check for bone fractures or spinal instability. For moderate to severe cases, the imaging test is a computed tomography (CT) scan. Moderately to severely injured patients receive rehabilitation that involves individually tailored treatment programs in the areas of physical therapy, occupational therapy, speech/language therapy, physiatry (physical medicine), psychology/psychiatry, and social support. Mayo Clinic (http://www.mayoclinic.org/diseases-conditions/traumatic-brain-injury/basics/definition/con-20029302) has major campuses in Rochester, Minn.; Scottsdale and Phoenix, Ariz.; and Jacksonville, Fla. The Mayo Clinic Health System has dozens of locations in several states. Their mission is to inspire hope and contribute to health and wellbeing by providing the best care to every patient through integrated clinical practice, education and research. TraumaticBrainInjury.com is a project of Traumatic Brain Injury.com, LLC. Our mission is to be the leading Internet resource for education, advocacy, research and support for brain injury survivors, their families, and medical and rehabilitation professionals. The mission of NINDS (http://www.ninds.nih.gov/disorders/tbi/tbi.htm) is to seek fundamental knowledge about the brain and nervous system and to use that knowledge to reduce the burden of neurological disease. To support this mission, NINDS supports and performs basic, translational, and clinical neuroscience research through grants-in-aid, contracts, scientific meetings, and through research in its own laboratories, and clinics. They also fund and conduct research training and career development programs to increase basic, translational and clinical neuroscience expertise and ensure a vibrant, talented, and diverse work force. MedlinePlus (https://medlineplus.gov/traumaticbraininjury.html) is the National Institutes of Health’s Web site for patients and their families and friends. Produced by the National Library of Medicine, the world’s largest medical library, it brings you information about diseases, conditions, and wellness issues in language you can understand. MedlinePlus offers reliable, up-to-date health information, anytime, anywhere, for free. CDC’s (https://www.cdc.gov/traumaticbraininjury/) mission, simply put, is to keep Americans safe and healthy where they work, live and play. Scientists and disease detectives work around the world to track diseases, research outbreaks, respond to emergencies of all kinds, and use what they learn from this work to develop and advocate public health policies that strengthen America′s health and resilience. BrainLine (http://www.brainline.org/landing_pages/Family.html) is a national multimedia project offering information and resources about preventing, treating, and living with TBI. 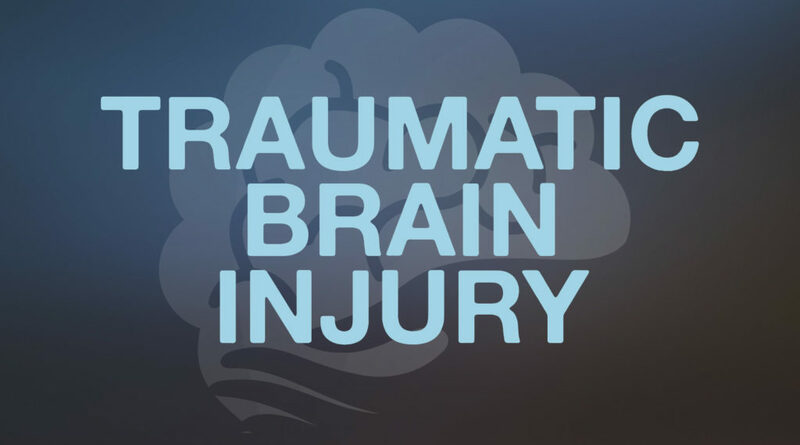 BrainLine includes a series of webcasts, an electronic newsletter, and an extensive outreach campaign in partnership with national organizations concerned about traumatic brain injury. BrainLine serves anyone whose life has been affected by TBI. That includes people with brain injury, their families, professionals in the field, and anyone else in a position to help prevent or ameliorate the toll of TBI. Through BrainLine, we seek to provide a sense of community, a place where people who care about TBI can go 24 hours a day for information, support, and ideas. The Brain Injury Association of America (BIAA, http://www.biausa.org/brain-injury-community.htm) is the country’s oldest and largest nationwide brain injury advocacy organization. Their mission is to advance awareness, research, treatment and education and to improve the quality of life for all individuals impacted by brain injury. Through advocacy, they bring help, hope and healing to millions of individuals living with brain injury, their families and the professionals who serve them.